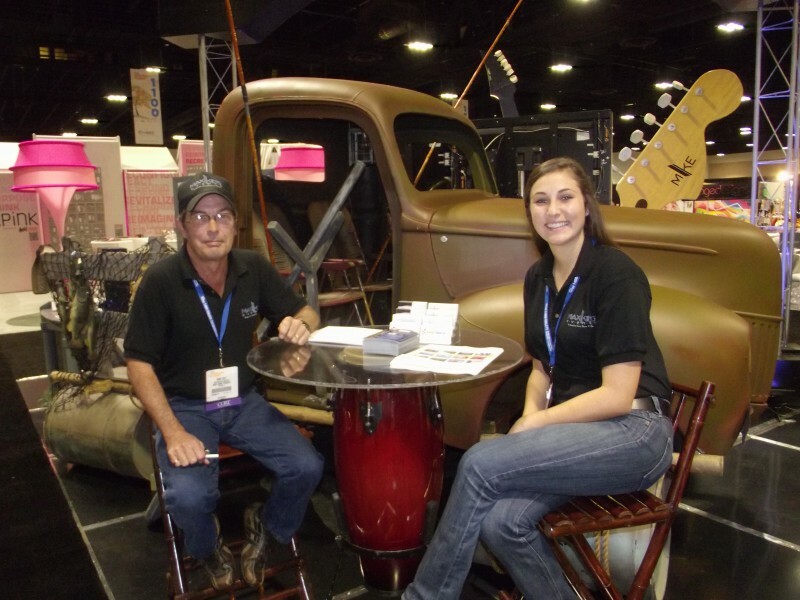 Blog An “e-SPECIAL-ly” busy week at The Special Event show! An “e-SPECIAL-ly” busy week at The Special Event show! 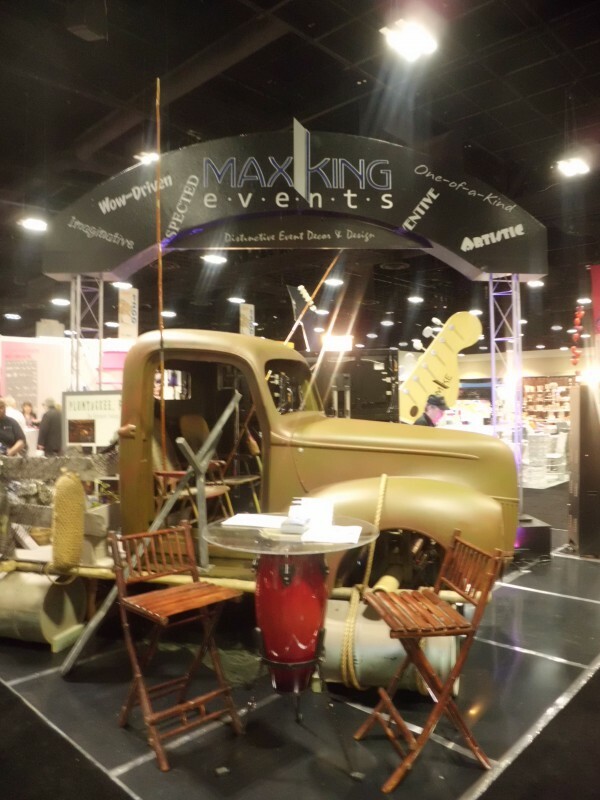 The MKE team was surrounded by the largest gathering of event professionals and experts in the world as an exhibitor at The Special Event show in Tampa. We aimed to impress with our dynamic and unique booth design, successfully catching the eyes, and sometimes questionable look, from the many attendees walking the aisles of the exhibit floor. The experience exceeded expectations and we met some amazing individuals from all over the industry! The booth concept was true to MKE form-blending a little “redneck”, “rock-n-roll”, and a lot of fun, all into a 20′ x 20′ space. The infamous “Rusty Redneck” truck made the trip to Tampa, providing the perfect WOW to the booth. Serpentine dock tables represented the functionality of the buffet piece, and it was perfect for all of our handouts! Rock-n-Roll decor wasn’t in short supply at TSE! 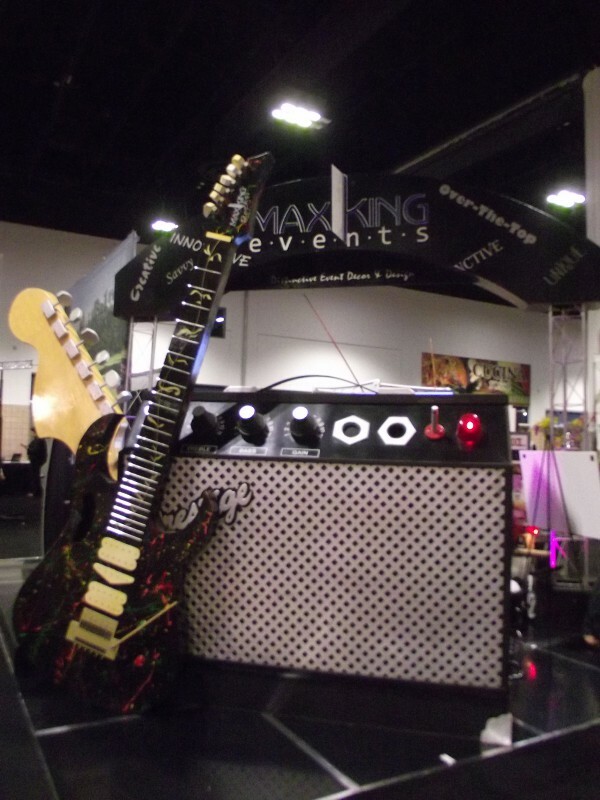 Our over-sized amplifier was paired with a 12′ high electric guitar and 9′ guitar neck, creating a “rocking” corner vignette. High in the air was the truss-supported high-gloss black arch, covered with adjectives describing the company. A beautiful dimensionally cut logo was centered on both sides of the arch, all skillfully created by the amazing team at One Day Masterpieces. We didn’t forget to represent our fabulous sister company, Heaven Event Center! 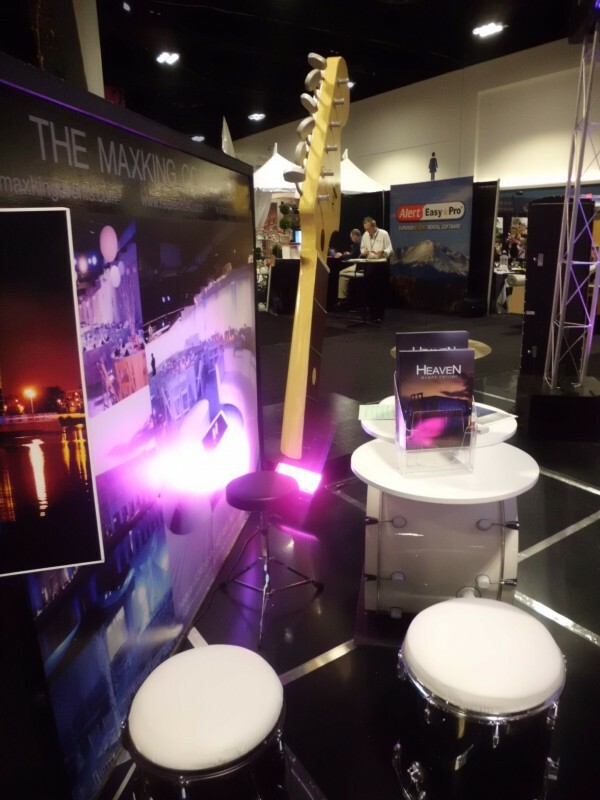 The HEC “Angels” were given their own consultation area in the center of the booth, using one of our Drum Kit seatings as the table space. A large collage of images of the venue blended beautifully with the quirky decor of the booth! 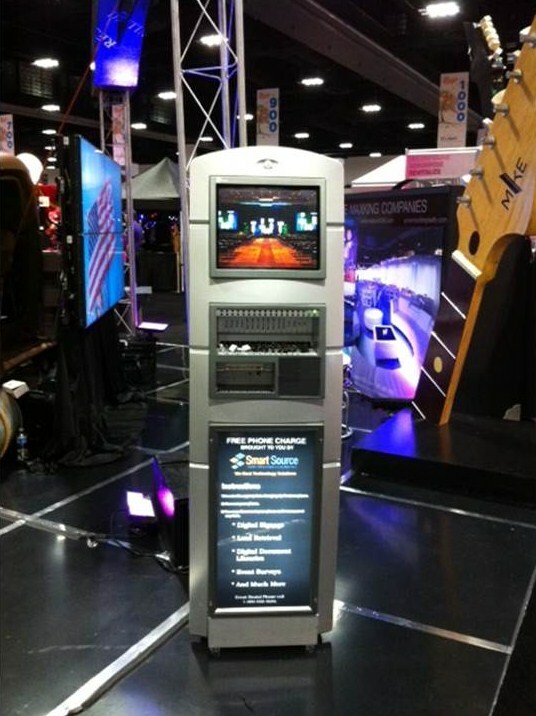 We had the pleasure to partner with SmartSource, the national computer and audio visual rental company, whom provided all of the amazing technology featured in the booth. A creative use for technology featured were two SmartCharge mobile device charging stations. The stand up model featured a screen that played presentations from MKE and SmartSource, and worked perfectly as a visual for the captive audience that were waiting for their phones to charge! Four plasma monitors were seamlessly installed to create a video wall in the center of the booth. 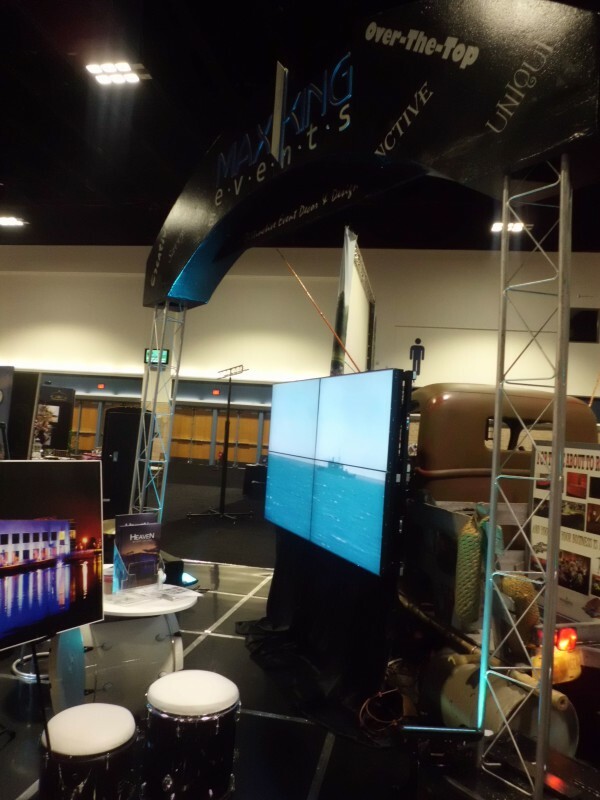 The high definition video wall screens featured the MKE picture pages of many of our most popular themes, SmartSource information, as well as movie clips for extra entertainment as the attendees passed by! We were so pleased to be asked by AFR Event Furnishings to be the decor provider for their Attendee Lounge. 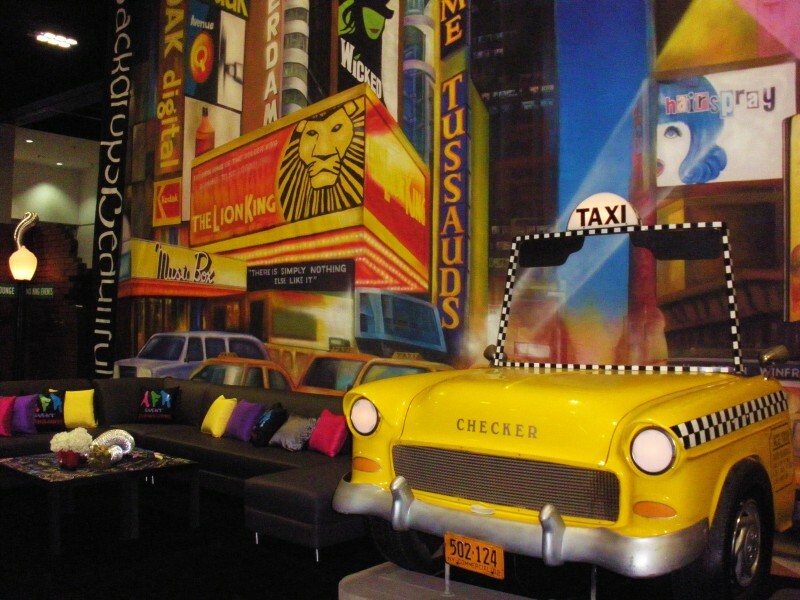 The lounge was themed as a New York City scene, complete with a dramatic New York-inspired backdrop from Backdrops Beautiful! 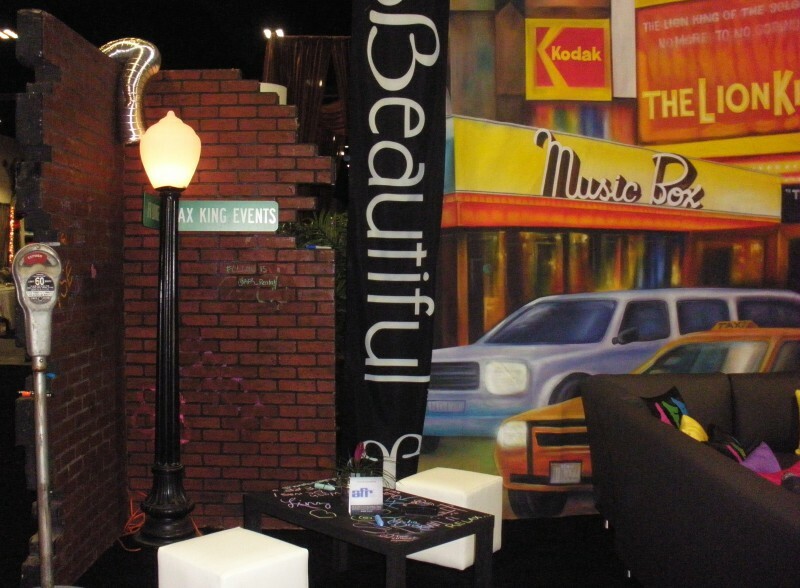 The booth corners featured free form brick panels to be used as grafitti walls, paired with an acorn street lamp and branded street signs. 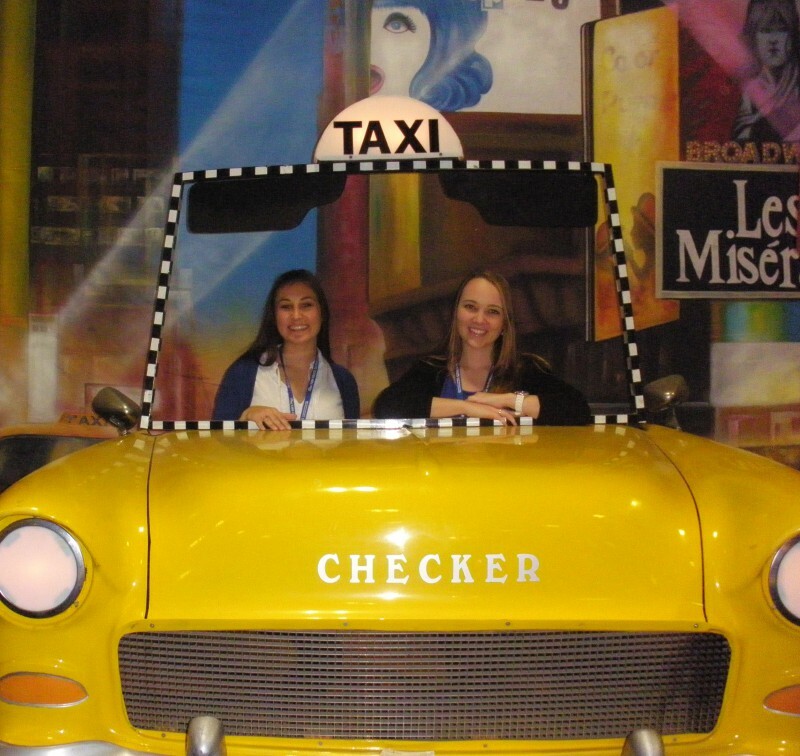 Our taxi cab prop became the standout decor item and provided many attendees with a great photo-op (including us!). AFR’s chalkboard tables were a hit and their new “Titan” slipcovered couches paired perfectly with the colorful pillows and overall NYC look! 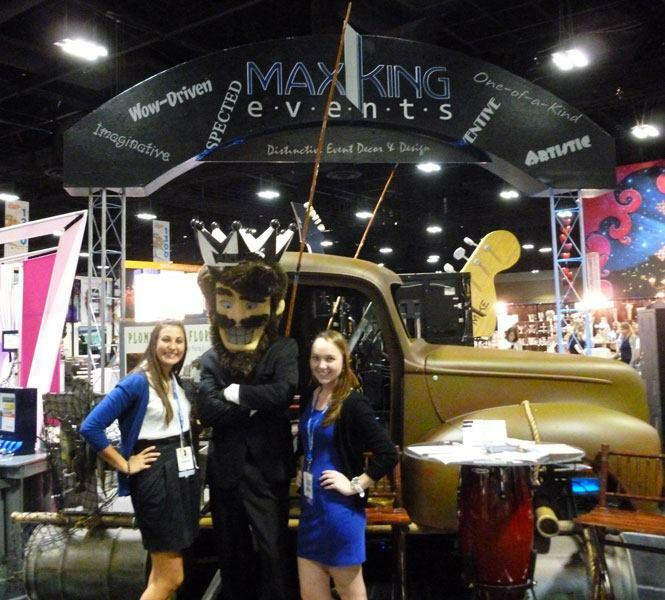 The Max King Events team had a great time representing our company and loved having the opportunity to meet so many event professionals during the show! 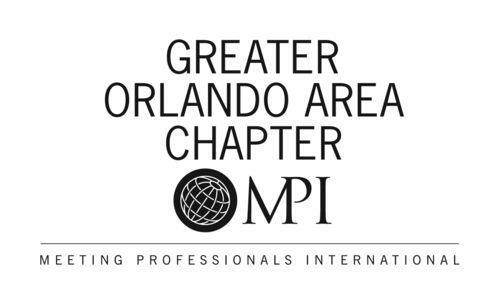 We hope all of the attendees and exhibitors had a successful show as well!